Apple is poised to bring its Face ID facial recognition system to the iPad in the coming weeks, so it makes sense that it will eventually bring it to the MacBook Pro range, too. And now thanks to a mouth-watering new video, we have an idea of exactly just how sleek a new Face ID-enabled MacBook would be. 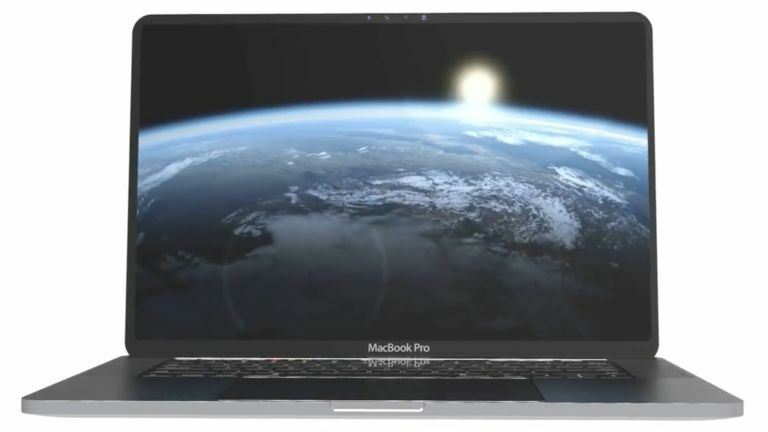 The MacBook Pro 2020 introduction video, which was created and shared online by technology concept designer Concept Creator, lavishly shows off the notebook from almost every angle. The next-generation MacBook concept shown in the video has a similar industrial design to the MacBook Pro with Touch Bar launched by Apple back in October 2016. However, there are a number of subtle tweaks to the design, like the addition of three USB-C ports on the left hand-side of the notebook, compared to the two ports currently available on the models in the Apple Store. The video also shows Apple taking a cue from its iPhone XS range and ditching the headphone port from its notebooks – something that would be likely to cause a stir among video editors and other professionals that rely on these machines. Elsewhere, the Touch Bar has been reimagined to include rich icons to launch applications installed on the machine, including Gmail, YouTube, Adobe Photoshop and Lightroom, and Final Cut X. The concept video also shows the Touch Bar displaying notifications about the applications installed on the machine – like a quick reminder about the number of unread emails currently in your inbox. Finally, Apple has almost-eradicated the bezels around the display, squeezing the borders to the very edge of the frame. There's no notch as such, but instead a thin bezel along the top of the screen to house the front-facing video call camera, infrared flood illuminator and dot projector used to authenticate your face. Obviously this MacBook Pro is unofficial, however it is based on industry rumours. Given that Apple is tipped to be rolling-out its Face ID technology to more and more products across its line-up, it makes sense the system will eventually land on the MacBook Pro range in the near future. The new MacBook Pro is finally here. It’s expensive, dependent on USB-C and has a fancy new touchscreen atop the keyboard. So should you buy one?